Apple’s QuickTime has been very popular, as a QuickTime user, it’s reasonable to watch your own DVD movies (you bought or made by yourself) with QuickTime Player. However, you may find that QuickTime won’t play your DVD movies. Why can’t you play DVD on QuickTime Player directly? What’s the best video and audio format for QuickTime support? What’s the recommended Audio/Video Settings for QuickTime Player? How to make DVD compatible with QuickTime? What is the best DVD to QuickTime tool? These problems may have plagued you. Below we will solve these problems by the following 8 parts. Part 1. Why can’t you play DVD on QuickTime Player directly? Part 4. How to make DVD compatible with QuickTime? Part 5. What Does The Perfect DVD Ripper for QuickTime Player Look Like? Part 6. What is the best DVD to QuickTime tool? Part 7. How to Rip DVD to QuickTime Supported Format – MOV? Part 8. How to play ripped DVD movie on QuickTime Player? 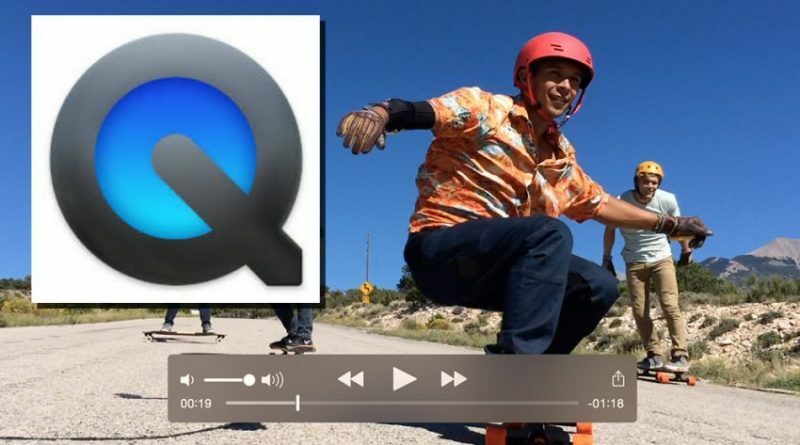 QuickTime is Available for Windows and Mac OS, it is used to handle digital video, audio, animation, text, and image formats. But even an omnipotent QuickTime player also will have to be yield to video format incompatibility. Among those supported formats, DVD video format (like VOB, Video TS, ISO or IFO) is not included. Plus, as far as we know, the commercial DVDs are encrypted and only special DVD player software can open and play them. Thus, in either case, you can not directly play a DVD on QuickTime Player. If you want to make DVD played back on QuickTime smoothy, you have to rip DVD to QuickTime playable format first. QuickTime supports a lot of media formats and codecs, with many more coming all the time. Some examples of formats and codecs supported by QuickTime follow. And among these video formats, MOV is the most commonly used one. So if you want to play DVD on QuickTime, you have to convert DVD to QuickTime MOV for playable. Note: QuickTime Player plays the audio/video files with specific codecs mentioned above. For instance, you can using QuickTime play Motion JPEG-based AVIs created by many digital cameras. But for other forms of AVI media, you are suggested to resort to third-party software like Wondershare Video Converter Ultimate to convert the any type of AVI video file to QuickTime supported video file formats for a faultless playback on QuickTime player. Even if you have a friendly QuickTime video and audio files, there are still many other factors that may result in playback problems, with the resolution, frame rate settings being the typical example. To help you solve the issues, we offer the recommended QuickTime video parameter settings so that you can play the ripped DVD movie on QuickTime flawlessly. Before ripping DVD to QuickTime compatible video formats such as MOV, M4V, etc., ypu should get a top DVD to QuickTime converter. It is ture that there are many powerful free DVD Rippers on the market, but nearly all of those free DVD Rippers fail to rip DVD that is under copyright protection such as Disney X-project, DRM and region code limitation. If you pick up an inappropriate DVD to QuickTime converter, you not only waste a great deal of your precious time and energy, but also you are likely to get your precious DVD disks scratched. In other words, choosing a proper and suitable DVD to QuickTime converter is extremely important. So there is a question coming out here before ripping DVD to QuickTime: how to select a good DVD to QuickTime converter? Mostly importantly, an eligible DVD to QuickTime converter must possess the ability to rip not only homemade DVDs but also commercial DVDs by removing disk protection such as copyright protection and disk region code limitation. Basically, a good DVD to QuickTime converter must be easy to operate. Therefore, the program interface should be user-friendly, and allow you to start a rip to QuickTime in three steps or less. An eligible DVD Ripper shall allow users to free choose subtitle and audio track. If a user don’t understand English and the converter cannot allow he or she to choose his or her familiar subtitle and audio track, will he still use the converter again? I am sure the user will immediately look for other DVD to QuickTime converter with subtitle and audio track selectable. The powerful DVD ripper should made it extremely easy to convert a DVD for specific file types and devices. They do this by including the afore-mentioned library of output profiles. All you need to do is load your disc into the application, select the file format, device or service from the library, and start the rip. This category evaluates the breadth and versatility of the conversion choices offered by each application. Furthermore, the best rippers should be able to extract audio clips from discs, capture subtitles and more. An appropriate DVD to QuickTime converter should be integrated with an video editor making DVD editing feasible for users to get personalized output video. The top DVD to QuickTime Ripper should have NVIDIA® CUDATM technology, the conversion is processed on NVIDIA’s GPU instead of your computer’s CPU, leaving more of your CPU available to handle other applications. That means your conversion process has six-time-faster standard and high-definition video conversion, higher quality, and smoother playback for all ripped movies. No matter how easy an application is to use, occasionally some customers need support. Manufacturers that provide excellent customer service make the best DVD rippers. This service comes in the form of tutorials, FAQs and knowledgebase on their websites. If you can’t get an answer in those ways, manufacturers should offer email or LiveChat support. After taking these aspects above into consideration, you can rule out DVD to QuickTime Converters that cannot meet even one of those requiremnets one by one until you find the best DVD Ripper. If you have spent a great deal time in selecting a proper DVD Ripper but have no result, then you can try Aimersoft DVD Ripper or ByteCopy, a professional DVD to QuickTime Converter. They perfectly and outstandingly meet all the requirements above. Aimersoft DVD Ripper can rip DVD to QuickTime MOV format, no matter it is homemade, noncommercial or commercial DVD (like CSS, Region, RCE, Sony ARccOS, PuppetLock or some other DVD protection). And it can remove DVD discs region limitation for you to better DVD movie enjoyment. The built-in video editor allows you to edit DVD movies freely for better playback on QuickTime player. You can trim video length, crop DVD video size, adjust brightness, contrast, saturation and volume to reset video effect, and add image or text watermark as signature. If you want to choose subtitles and audio tracks from source DVD movie, you can also realize it with Aimersoft DVD Ripper. It offers multiple tracks for you to select, making it friendlier to rip DVD to QuickTime to those non-English speakers. In addition to the output MOV format, the best DVD Ripper can also rip DVD to MP4, MKV, AVI, MPEG, H.264, WMV, M4V, 3GP and many other format, including HD and 3D video formats. Not only common or HD or 3D video formats, Aimersoft DVD Ripper can also transform DVD to FLV, F4V, SWF, etc. online video format. The powerful DVD Ripper support ripping DVD to iPad, iPhone, Samsung Galaxy Tab/Note/S series, LG, HTC, Android, Windows, Game Console, and some other deices. Easily extract audio tracks or background music from DVD to MP3, M4A, WMA, AC3, OGG, FLAC and much more. This DVD ripping software offers a quick access to search for the metadata of the loaded DVD movies, which includes the movie director, actors, descriptions, release date, genre and more. All these information is changeable and courtesy of TMDb (www.themoviedb.org) After you get the movie information, you can embed these metadata to DVD movies with a simple click. With this DVD converter, you can flexibly set CPU use. It owns optimal configuration for newest CUDA and CPU. It excels in DVD rip speed with Super Encode Engine and Hyper-threading tech. Thus, you can convert feature-length DVD movies in a matter of minutes while keeping the videos looking crisp. Click the “Effect” tab and you’ll be able to adjust video brightness, contrast and saturation, apply grey, negative, emboss or old film effects and apply a number of deinterlacing options. De-interlacing Engine changes the DVD interlaced scanning mode to progressive scan to improve the output video effect; High Quality Engine helps deliver highest possible image quality. On top of this, you can balance and master the video quality and file size according to your own need. This is the 10 reasons why select Aimersoft DVD Ripper! Wondershare Video Converter Ultimate includes Aimersoft DVD Ripper all functions, even it can also download online video from Youtube, Vimeo, Fulu, etc., burn video to DVD, wireless transmission, have more output formats and default devices support. The following tutorial guide takes Aimersoft DVD Ripper as an example to show how to rip DVD to QuickTime .mov on Windows (include Windwos 10), it is incredibly easy. You can free download it and then follow the step-by-step tutorial guide below. Note: If you are using QuickTime on Mac (including 10.12 and 10.11), try DVD Ripper for Mac to convert DVD format. Click the “Load DVD” button to load DVD movies to the program. The detailed information of your DVD movie will be displayed. You can then preview them and choose the chapters you want to rip. Tips: If you want to embed metadata information (like DVD movie editor, actors, conver, descriptions, etc.) to the DVD video, just click the Info button to open the metadata editing window. Then enter the DVD movie name and click the Search button. The best DVD to QuickTime Ripper will find out all the information for you. Click the “Profile” drop down list to select MOV (QuickTime playable format) as the output format. Then click “Output” drop down list to select a proper destination folder for output files if you want to change the current default output folder. After all preparations, click the Start button to rip your DVD movie to QuickTime MOV. When the conversion completes, click “Find Target” to get the converted MOV files and play them with QuickTime freely. 1. If QuickTime is the default media player on your computer, then you can double click the video and QuickTime Player will launch automatically and play the video files you choose. Method 2: Launch QuickTime and click “File” > “Open File”, then choose the video you want to play. Now know how to do the DVD to QuickTime MOV conversion? With DVD Ripper, ripping DVD to MOV or other popular video formats is no longer a hard task. Top 1. Wondershare Video Converter Ultimate: Both Windows and Mac, would take the convenience of DVD to MOV conversion as a quick and simple-accessible task. With these two user-friendly software you can achieve your aim in only three steps no matter in Mac or in Windows. Support a wide range of DVD’s file conversion such as MP4, AVI, MKV, VOB, DivX, AVI, MPEG, FLV, 3D MP4, 3D MOV, etc. with unsurpassed conversion speed up 30 times., built-in editor for editing purposes. Plus, you can download online videos, convert H.265 4K, HD Video and common Video, as well as burn own DVDs. Top 2. Pavtube ByteCopy: With it, you can remove copy protections, and rip the movies to a QuickTime Player compatible format .MOV with fast speed and high output video quality in Windows or Mac. In addition to MOV, it can also rip and convert DVD to all other regular video formats like MP4, M4V, MKV, FLV, AVI, WMV, 3GP, etc. Plus, ByteCopy can backup Blu-ray/DVD collection to multi-track MKV, ripping BD/DVD movies to MP4 and MOV with multiple audio streams, and converting BD/DVD from hard discs to virtually any popular video and audio format like m3u8, H.265, MKV, etc. so that you can freely watch movies on mobile devices, 3D TVs, PSP, PS4, PS3, Plex, WDTV Live, Roku 3 and more devices. Top 3. Leawo DVD Ripper: It could rip and convert DVD to video in MP4, WMV, MKV, FLV, F4V, etc. Also, as the best DVD ripper software, it could act as DVD audio ripper to convert DVD to audio in MP3, AAC, and other audio formats. By converting DVD to video and audio, it lets you enjoy DVD movies on any mobile device. The built-in handy video editor helps customize video effects, while the internal 2D to 3D converter creates 3D movies in different 3D effects. Other user-friendly features include: set profile parameters, select subtitle and audio track, merge files into one, etc. Why say Rip but not Copy DVD to NAS? ← How to Rip DVD to NAS? Why I say Rip but not Copy DVD to NAS? When I am trying to convert a DVD to Quicktime mov format, it will take approximately 30 minutes to complete the conversion procedure. The Aimersoft DVD Ripper has the ability to accomplish the task so quickly! Superb intramofion here, ol’e chap; keep burning the midnight oil.